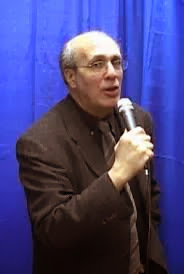 After last week's interview with True God Immortal from WrestlingHeels Radio, this week it's time for us to speak to Legendary wrestling journalist, the one and only, Bill Apter. Known For: Pro Wrestling magazines, 1Wrestling.com, Host of Wrestling Conventions, The Apter Chat, Indy Broadcaster. I was a fan since I was a kid (watching it on TV). I loved it from the minute I saw it. I first got into the business when I was doing a radio show in New York, got press tickets to a wrestling show, shot some photos, did some interviews and sent them to a wrestling magazine. 2. You've had a long and storied career in the wrestling business, but for anyone who (for some reason) isn't aware of what you've done, could you explain a little bit about your career and how you got to where you are today? 3. Is there anyone in wrestling that you haven't interviewed that you would love to get the opportunity to speak to and why? I've interviewed everyone except -- Vince McMahon. I've talked with him dozens of times but never sat down for an "Apter Chat." **Hogan vs. The Rock makes the list as well. You can find me at most wrestling conventions in the US as well. Thank you for having me on this 5 question interview. I really enjoyed it and thank you fans for all your support through the years! We'd like to thank Bill Apter for allowing us this interview.